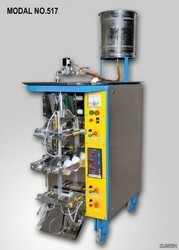 We are a leading Exporter of sip up candy making machine and automatic sip up candy packing machine from Rajkot, India. We are among the reputed names in the industry for manufacturing and trading Sip Up Candy (Sipup Ice Candy) Making Machine. The offered machine is extensively demanded at beverage industry for packaging of products and ensures operation under stringent parameters if hygiene. This machine is durable, offers trouble free operation and latest in design. It is non corrosive and non abrasive as well. We are among the reputed names in the industry for manufacturing and trading Automatic Sip Up Candy Packing Machine. The offered machine is extensively demanded at beverage industry for packaging of products and ensures operation under stringent parameters if hygiene. This machine is durable, offers trouble free operation and latest in design. It is non corrosive and non abrasive as well. 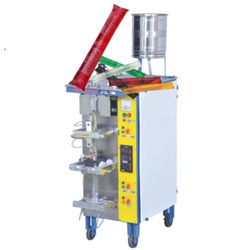 Looking for Candy Making Machine ?